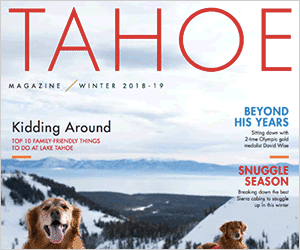 My wife Carolyn and I totally agree with the points made in the Sept. 1 opinion column, “Lake Tahoe campground development deserves scrutiny,” and we thank the authors with Sierra Watch, Mountain Area Preservation and the League to Save Lake Tahoe for writing it. 1. Traffic: Anyone who has lived through the disastrous summer traffic in Kings Beach this summer will know how terrible the traffic has been, even though the two traffic lanes were almost always open! We observed 267 traffic backed up to the start of the steep hill, traffic on the Crystal Bay side saw traffic backed up to the Crystal Bay Casino, and traffic on the west side of 267 on Highway 28 was also terrible. Our feeling is the root cause has been pedestrians crossing Highway 28, forcing cars to stop for them. The thought of adding 550 vehicles and, especially, slow-moving RVs to bad traffic times or days is gut-wrenching, if not disastrous, in case of a forest fire. 2. Forest fire traffic: Living where we do (on Hwy 28 approximately half way between Tahoe City and 267) means we would most likely have one exit road and we’d be at the end of the traffic line. For us, that is a deadly proposition! We have heard that a crown forest fire in Incline Village under the right conditions could reach Tahoe City in approximately 15 minutes. Having possibly many more vehicles from the North Tahoe campground to deal with is totally scary. Think also of the people living up a mountain north of Highway 28 who must also use access roads to 28. They are in worse shape than we are.